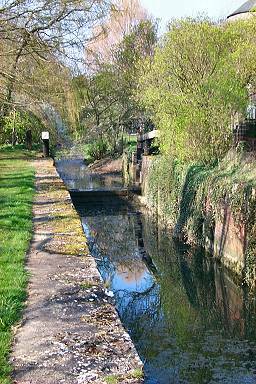 Through an article in The Independent in March 2002 I heard of the Cotswold Canal. The canal was abandoned during the first half of the 20th century and is blocked in a lot of places. Restoration is now under way to reopen the canal. 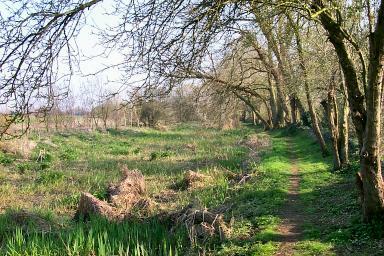 I visited a stretch of it near Cerney Wick during Easter 2002. 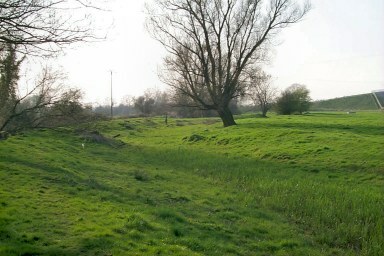 On the left the remains of one of the many locks along the canal. 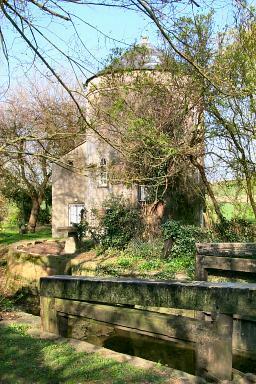 Next to it one of several round houses along the canal (also below right).